When I first read the blurb about this book I thought the idea was so cool, there are retellings popping up all over the place but the idea of the FURIES being showcased really caught my attention. I love a good tale of revenge, and I have a serious love for karma. However, I went into this book with expectations too high, I had expected to read a book with serious mythological elements and instead was met with a story about serious repercussions in relation to high school problems. I was pretty much annoyed by the characters almost immediately. Em is in love with her best friend’s boyfriend, Zach, and even though she completely 100% knows the severity of what she is doing she does it anyway and starts messing around with him while her best friend Gabby is on vacation. When her lies come undone she cries and talks about how horrible of a person she is but just wants Gabby to “listen” to her so they can talk everything out. Do I think her punishment from The Furies was too harsh? Yes, but we will get to that in a moment. Chase is the other person The Furies have come after; he did something pretty terrible that to me is more unforgiveable than Em being a boyfriend stealer. Despite this terrible behavior (it’s kind of a plot twist so I can’t really say what he did) I found myself sympathizing with Chase and feeling bad for him because he is poor and does everything he can to maintain his reputation. He falls head over heels for one of The Furies and she humiliates him to a point of no return, it made me sad and a little frustrated. The secondary characters were more likeable and I found myself really enjoying Em’s neighbor JD. Drea was also a neat character and I wish we saw more of her than just her assisting Em in finding out more information on The Furies. I shouldn’t even mention Zach because he is a cheating scumbag who gets no punishment, though the ending hints that he may show up in the sequel. It’s no mystery that I love horror stories and I love vengeance so I really thought I would enjoy this story more than I did. Em’s punishment from The Furies was slightly more justified to me than Chase’s and I will say that the author had me on the edge of my seat wondering what was going to happen next. Chase meets a much different end and I really didn’t enjoy it. I understand the justification in minds of The Furies but really I was just annoyed by it and thought it slightly dramatic and not at all teaching a lesson but getting rid of the situation all together. I really do hope that Elizabeth Miles brings back Zach in the second book because he was the only one in this story I thought needed serious punishment for being such an arrogant jerk, and he got away in the end unharmed. There were parts of this book I really liked, it was definitely suspenseful but didn’t scare me in the least. It was also very different in the way it brought in both juvenile and adult themes and molded them together. I have been on a total mythology kick lately and though the retellings I have read have been okay, they aren’t mind blowing amazing. Fury by Elizabeth Miles falls into the same category as a sort of take it or leave it book that fell short for me in a few ways, perhaps my expectations were too high. However, this book IS worth reading; just don’t go in expecting much in relation to the Greek myths. Don’t be deferred from my opinion, like any good doctor will tell you, a second opinion is always a good idea! My friend Heidi posted a magnificent rave about the book on her blog a few weeks back. 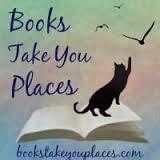 This entry was posted in Reviews, Young-Adult and tagged Greek mythology, paranormal, retellings. Bookmark the permalink. Hey thanks for the nod! I'm sorry you didn't like this one so much, but it makes me laugh because opinions in general on this one have been all over the place. You should read Everneath! I didn't really like it, but I feel like everyone who didn't like Fury so much DID like Everneath. It was definitely more entrenched in mythology. I actually liked that you had no idea wtf was going on in Fury for the bulk of it as far as mythology goes. I'm guessing it'll come more into play in Envy. I actually just got a call that a copy for Everneath is on hold for me at the library! This book was great I think I just had completely different expectations. 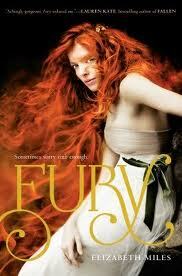 The Furies were total BAMF's though, don't get me wrong!